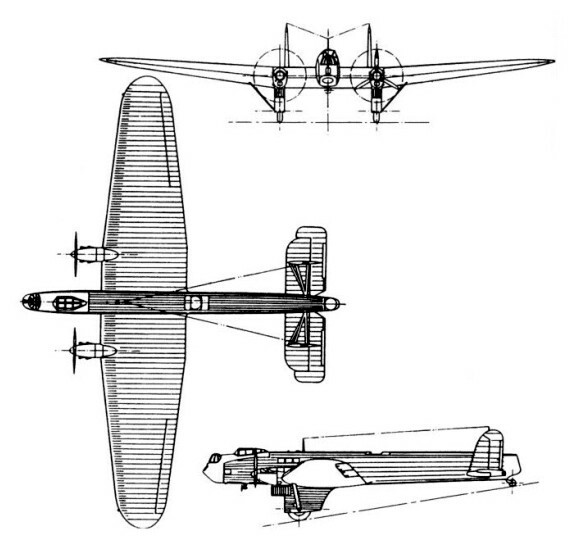 A twin 447kW Rolls-Royce Kestrel Vl-engined cantilever low-wing monoplane heavy night bomber, 14 of which were operated by the RAF from 1937 until just before the outbreak of World War II. Armament: 3x 7,7mm MG, 753kg Bomb. int.